That is right wizards the newest expansion coming to wizard101 is farming. Don't ya just love it? I know I do something new for housing! I am not one for pet leveling so I really don't use my pet energy, with new content expansion I now will have something for my pet energy to be used on and we get new content. :D KingsIsle is doing a awesome job keeping up with us. Ok, ok ,I know back to farming. Moolinda Wu talks to you about farming, then you get to meet this cute little mole Farley the gardener, he will teach you how to take care of your plants. 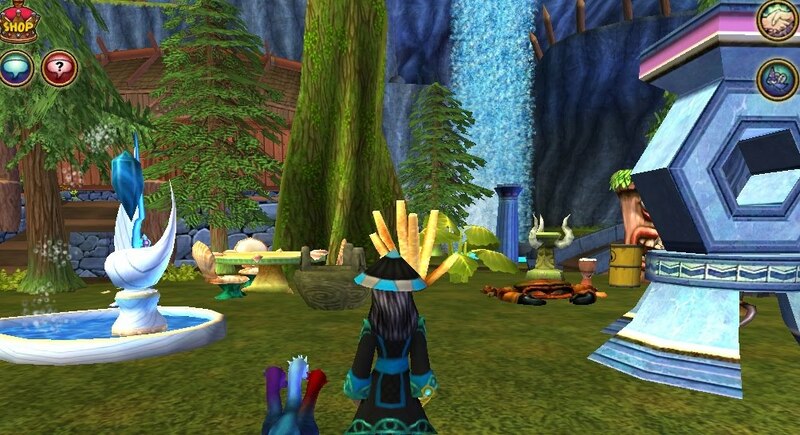 Gardeners are found in Golem court,Krokotopia ,Mooshuu and Celestia. Golem Court Gardener sells all the needs for the first steps of farming, pots, seeds, spells. He tells you to check out the stages of seeds which teaches you all about the stages of grow and also what can happen. Plants start as seedlings and grow until elder plants. Mature seeds can produce items such as reagents, pet snacks, treasure cards, gold or more seeds. Spells you can train these spells do not take training points they only cost gold. I know simply awesome! Spells are by rank as you start with rank 1 I would buy all those rank 1 spells. These spells use energy ob the left side of the card it tells you how much. These spells give you everything you need to make a plot, plant and care for your seeds. 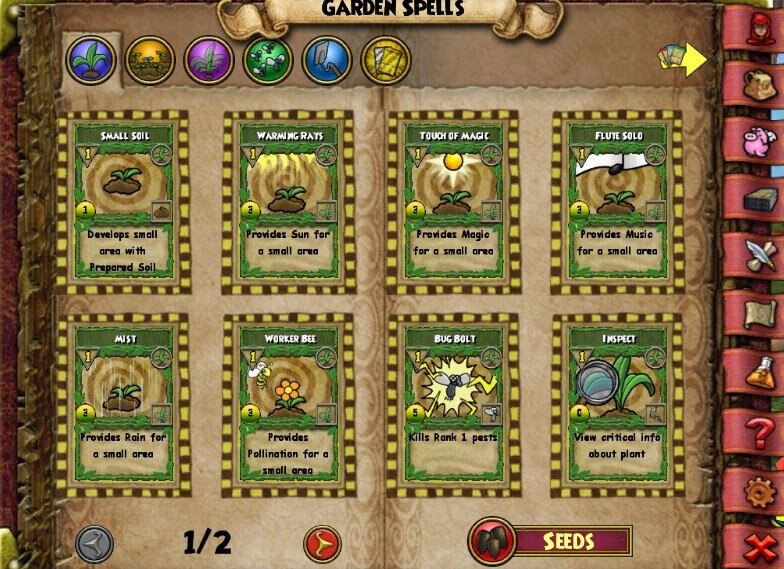 such as sun,rain,pest control and music.Here is a picture of what it looks like when you plant needs something, use the inspect spell to find out what your plant needs, this one needed sun. As my Plants are all still young plants, I am unable to say what I get from them, so be sure I will have a follow up post. I do want to show you a few pieces from another part of this update coming to wizard101 live realm. Celestian furniture!! Thats right we get new furniture items. I do still wish for new paper and flooring. I got a picture of some of the sold pieces, I'll post it below. There is also new crafted pieces , cannot wait to start checking those out. Hope you enjoyed this post. Until next time, happy house decorating.